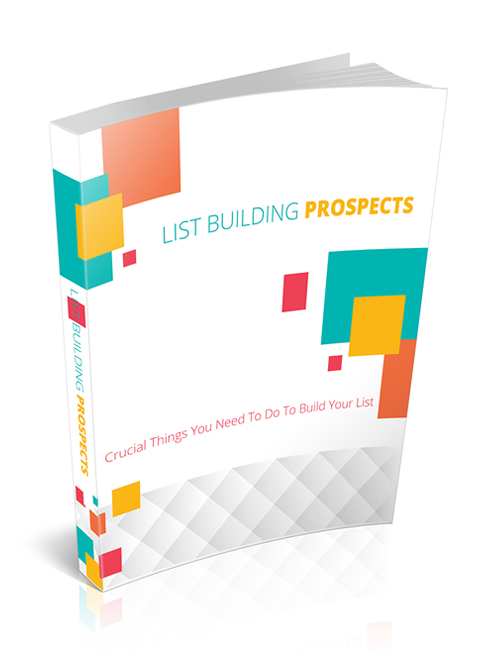 List building is a crucial part of an online-business. Anyone who’s ever run a business will tell you that, flat out. Many would say that the biggest mistake they made in their business was not building a list from day one. The reason why building a list is so important is the fact that you are in constant contact with a targeted audience. People who joined your list or bought your product in the past are on your list because they want to be there or because they find your product or content useful or interesting. By having the immediate ability to connect with these people and promote or sell new products or services to them is like having a never ending funnel running with sales galore. The larger your list grows, the more potential you have to sell and make money. There are business owners with lists of customers in the million plus range. And you can only imagine how much revenue these business owners are bringing in just from sending out a single email. In this guide you will learn about the most important methods in order to get started with building your own list. Many have tried but failed in the list building process and are dumbfounded as to why things didn’t work out. The focus is to not always just throw products at your audience and hope for sales. There is such a thing as building trust and being an authority in your niche and helping your users before trying to sell to them. This guide covers it all and once you get acclimated to the process, you’ll be ready to kill it. Hit the download button now.